Imaan has been treated using NAET desensitisation for the items 1-11. We have just completed treating him for dopamine neurotransmitter and will be treating him for epinephrine, norepinephrine tomorrow and the day after. We are looking forward to treating him for the vaccines and heavy metals. An interesting reaction happened right after we treated Imaan for grain mix and candida. He went to the toilet and passed motion 5 times and his stool included yeast (very frothy and mucosy). This was amazing as we know that he has a massive yeast problem and we have spent a lot of money trying to remove it from his body including the special carbohydrate diet (SCD). All it took was this simple NAET procedure and we could see the results after 25 hours. After we treated him for vitamin C, Dr. Culp (our biomedical doctor) found that (through muscle testing) Imaan can now take poly-ascorbate (which is buffered vitamin C formula). We are coming around to the idea that we can be sensitive to our own body fluids and chemicals and secondly, that muscle testing actually works. We can't wait to see Julie again next week. Barbara Balla (a Son-rise facilitator) is here for the weekend and Imaan really enjoyed himself in the playroom. 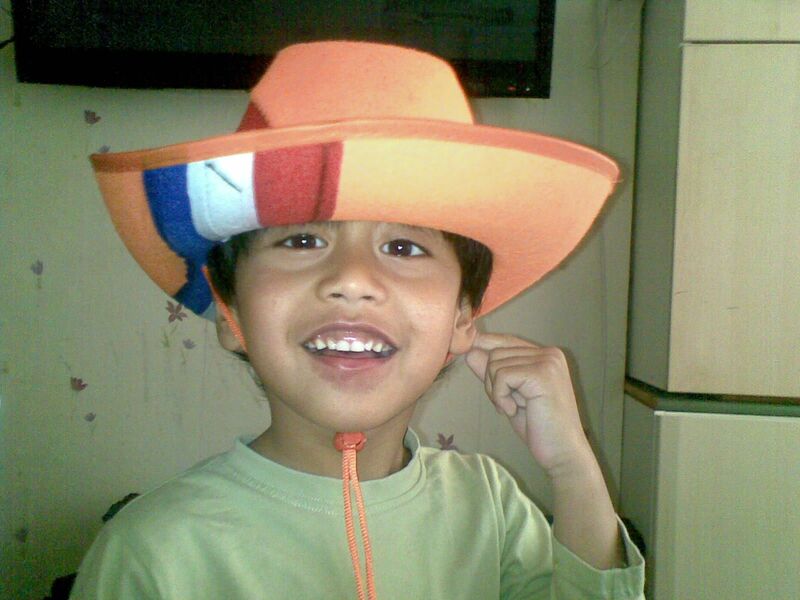 His favourite game was playing 'horsie ride' with his neon orange cowboy hat which was a gift from Khairzul and Ewout.